Are you feeling like you need to take some time for yourself? Mount Shasta is one of the most powerful places on earth. It is a 14,000 mirror which powerfully reflects back to us the Love that we are. Mount Shasta, recognized as a sacred mountain by people and cultures around the world, is the perfect place to experience a healing, spiritual retreat. 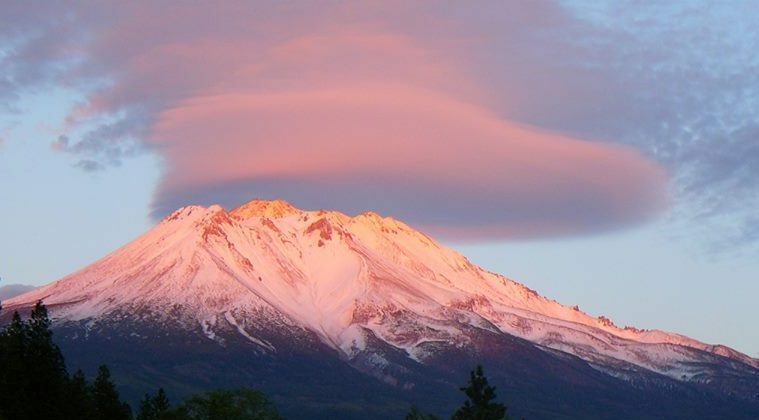 This Mount Shasta weekend retreat will be a potent combination of beautiful hikes to sacred sites and powerful meditations that will help you align with your true self, open to more love, receive clarity and inspiration and take away tools to live more authentically. I am excited to have my dear friend, Alexandra McIntyre, co-leading this retreat. Alex has more than 40 years of experience teaching meditation and guiding retreats. When we guide together, the love and divine masculine/feminine balance creates a field which supports participants in deeply opening to their own gifts, and the gifts the mountain offers. To provide an intimate and powerful experience for participants, we restrict this retreat to the first 22 people who sign up. In past years, it’s filled up quickly, so if you hear the call to attend, please register now. If you have any questions, please contact me. The cost is only $333 if registered by May 1, $388 before June 1, and $444 after that. Air & ground transportation, accommodations & meals not included.